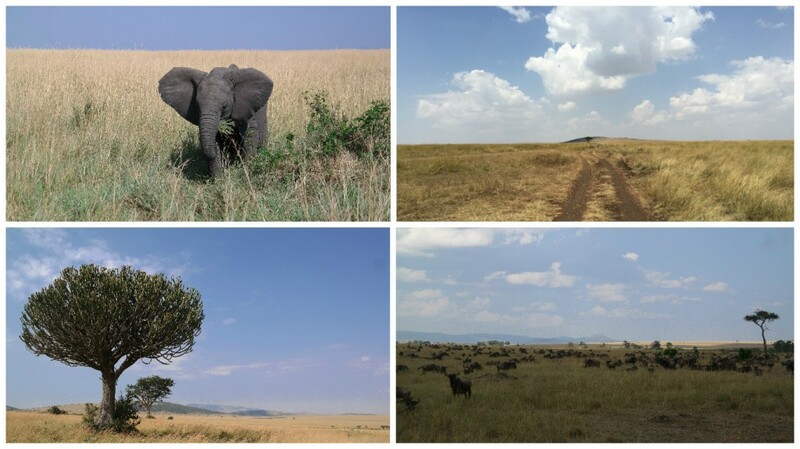 In August last year we visited Kenya so we could go to the Maasai Mara on safari. 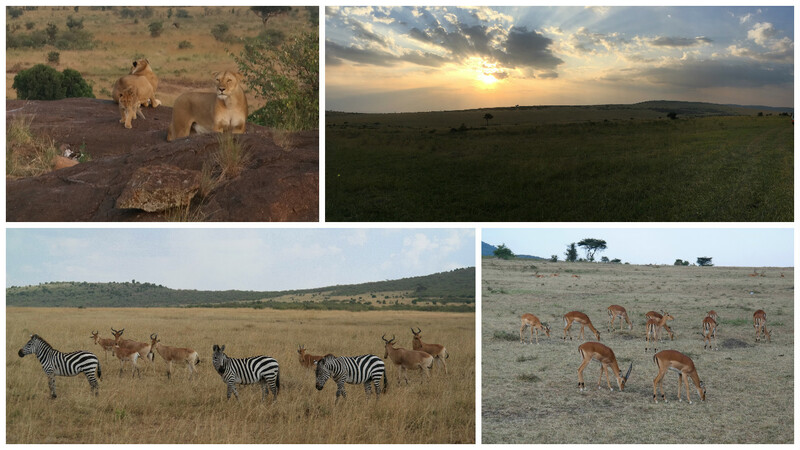 We flew in for a long weekend and after a night in Nairobi we headed for the Maasai Mara reserve with our tour guide. On our way to the Maasai Mara we stopped at Great Rift Valley view point which was originally thought to reach from Lebanon to Mozambique and although they are now distinct, they are still connected and when we visited Jordan in September we also stood looking out at the “Great Rift Valley” from Petra. 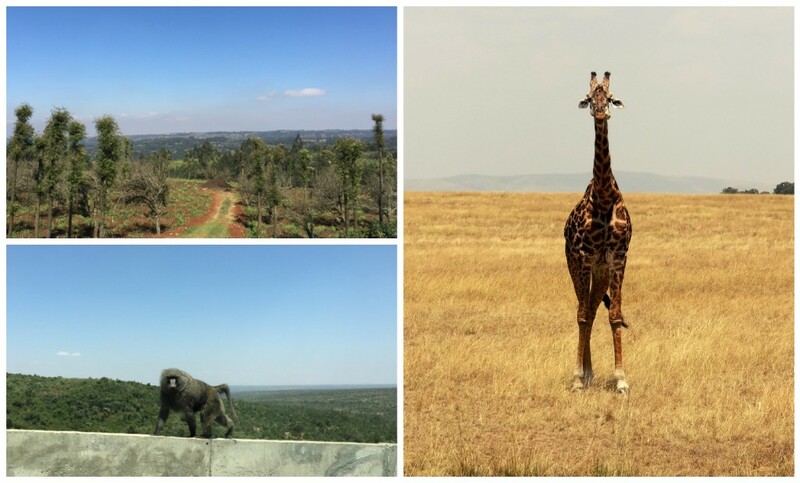 On the drive we saw lots of wheat fields, euphobia cacti and acacia trees, giraffes and baboons; the scenery was really beautiful. We arrived at our camp at 4:30pm (long drive!) 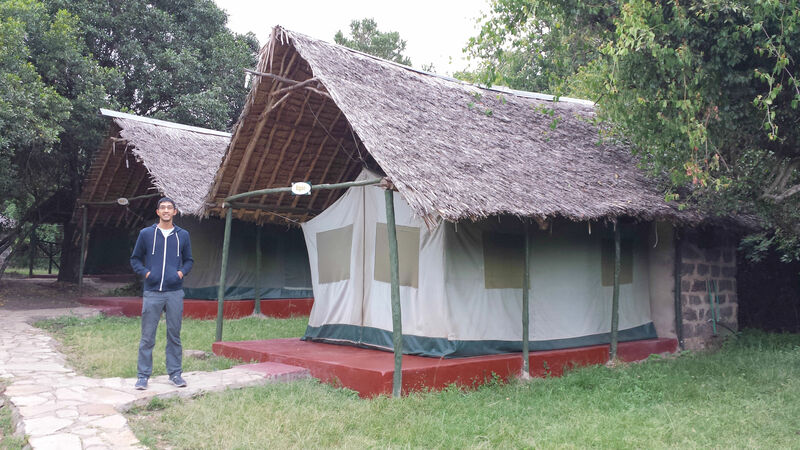 and left our bags in our tents before heading on a game drive from 5-7pm. We stayed at Lenchada camp and the tent had a cement floor with a cement block “en-suite” behind (the water was dirty but thankfully they supplied bottled water). While at the camp we only had electricity between 7-10pm and 6-8am and no internet… and we survived being “off the grid” . 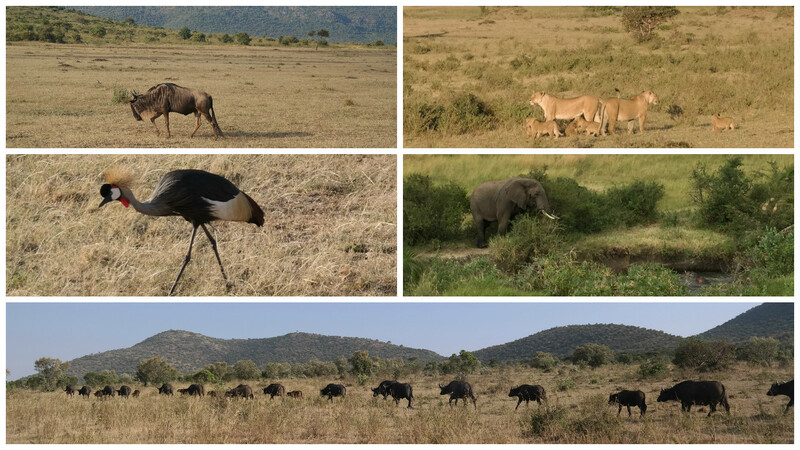 On our first game drive we saw gazelles, wildebeest and zebras when we entered the park. 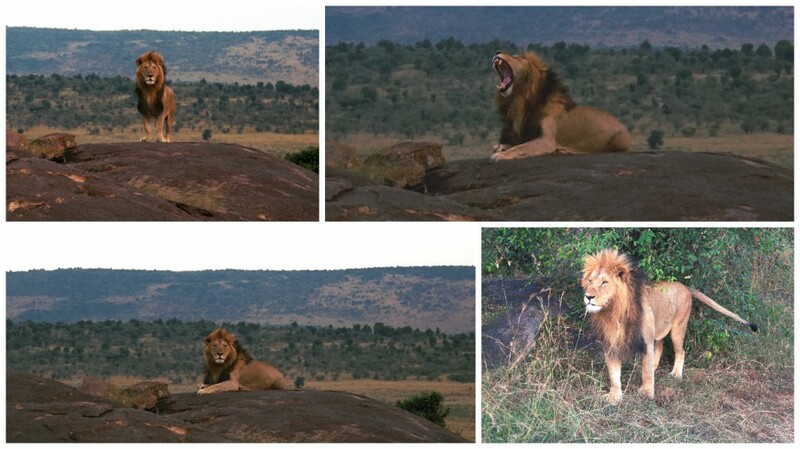 We also saw impala gazelles, small antelopes, toppi and silver backed jackalls but the highlight was seeing a lionness and her cubs while watching the sunset and then coming across a single lion in the bush who walked right past our truck and up onto a rock where he posed for us – what a wonderful sight he was! The next morning we got up early for breakfast and left camp at 8am ready for a full day of exploring. We saw lots and lots of zebras and wildebeest migrating together, they work together during the migration and you can learn more about why here. 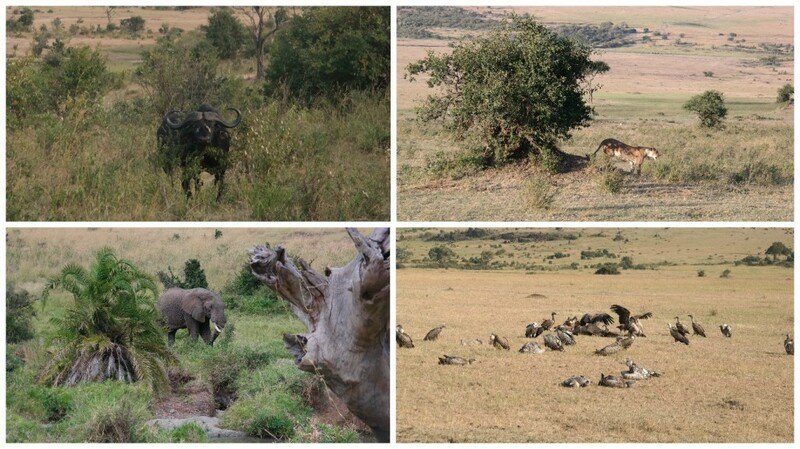 We also followed some buffalo who were on the move and spotted vultures enjoying their breakfast. We saw lots of other birds including the national bird of Uganda, the go away bird, Ostrich, lilac breasted rola and stork. We got a little beauty treatment when we discovered a tree with leaves that were a natural sandpaper/nail file. 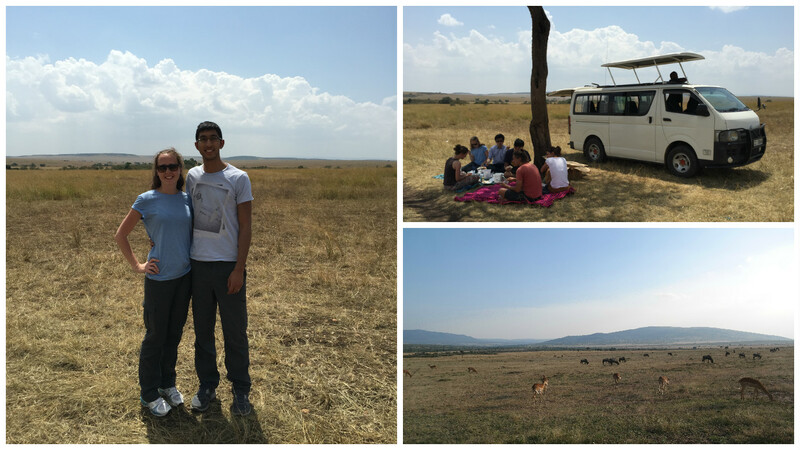 On our way to the Maasai river we saw giraffes, elephants, a cheetah on the hunt and warthogs playing in the mud. Once at the river we saw crocodiles and lots of hippos sleeping in the sun. Hippos are very territorial and kill migrating animals as they cross the river even though they are herbivores. 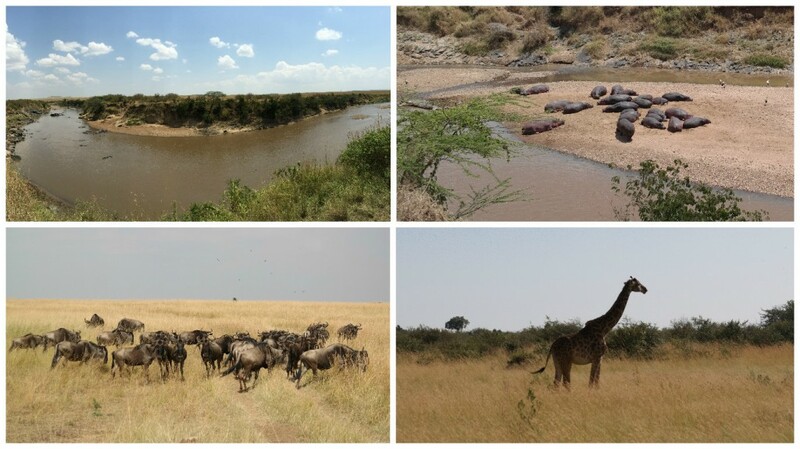 We booked our safari trip during August hoping to spot the migration across the river but unfortunately we didn’t see it. Afterwards we had a picnic lunch under an acacia tree and kept a look out for any animals that might enjoy us for lunch, thankfully we were uninterrupted! We got back to our camp at 6pm (it was a long day in the van with no bathroom stops!) 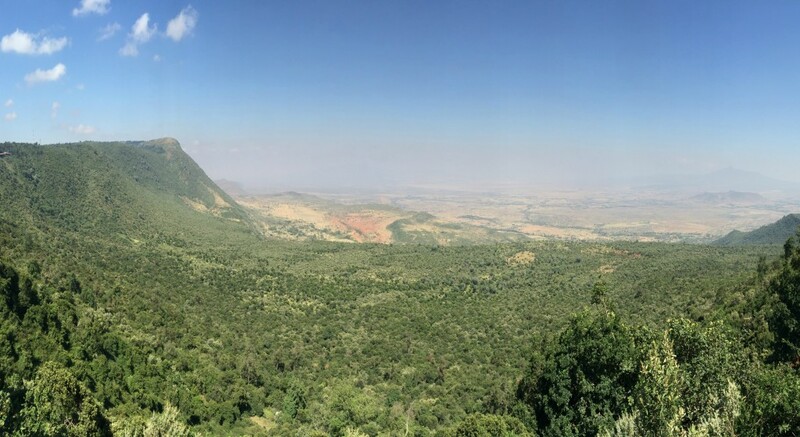 and went to visit a nearby Maasai village. 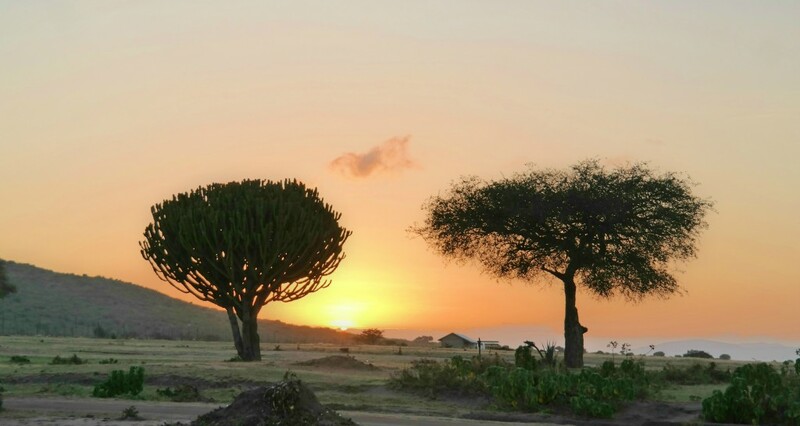 On our last morning in Kenya we left on safari at 6am on a game drive until 8:30 am. 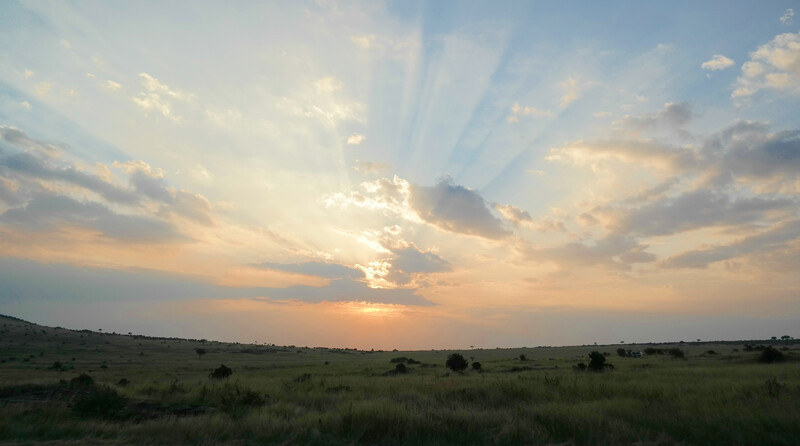 The Maasai landscape was incredible, it was wonderful to see miles of scenery and so many animals in their natural habitat and we enjoyed a very beautiful sunrise on our way out.